Organized as 1st Day Bombardment Group in France on 10 Sep 1918. Equipped with DH-4 and Breguet aircraft and entered combat on 12 Sep. Attacked troop concentrations and communications to interfere with the enemy's movement of reinforcements and supplies to the front during the Allied offensive at St Mihiel. Also took part in the Meuse-Argonne campaign, attacking the enemy behind the line, and conducting bombing operations that helped to protect Allied ground forces by diverting German pursuit planes from the battle zone. Participated in one of the great bombing raids of the war when 353 Allied planes (including 200 bombers) under the command of William Mitchell struck a concentration point where German troops were preparing for a counterattack against the Allied offensive in the Meuse-Argonne area. Demobilized in France in Nov 1918, soon after the armistice. 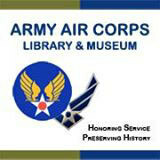 DVD Video with Combat Film footage of 2nd BG in WW2. Reconstituted (in 1924) and consolidated with a group that was organized in the US as 1st Day Bombardment Group on 18 Sep 1919 and redesignated 2d Bombardment Group in 1921. Used LB-5A, B-10, B-17 (1937-), B-15 (1938-), and other aircraft during the 1920's and 1930's. Engaged in routine training; tested and experimented with equipment and tactics; participated in maneuvers; took part in Mitchell's demonstrations of the effectiveness of aerial bombardment on battleships; flew mercy missions to aid victims of a flood in Pennsylvania in 1936 and victims of an earthquake in Chile in 1939; and made goodwill flights to South America in the late 1930's. Redesignated 2d Bombardment Group (Heavy) in 1939. Trained with B-17's. Served on antisubmarine duty for several months after the US entered World War II. Moved to North Africa, Mar-May 1943, and remained in the theater until after V-E Day, being assigned first to Twelfth and later (Dec 1943) to Fifteenth AF. Flew many support and interdictory missions, bombing such targets as marshalling yards, airdromes, troop concentrations, bridges, docks, and shipping. Participated in the defeat of Axis forces in Tunisia, Apr-May 1943; the reduction of Pantelleria and the preparations for the invasion of Sicily, May-Jul 1943; the invasion of Italy, Sep 1943; the drive toward Rome, Jan-Jun 1944; the invasion of Southern France, Aug 1944; and the campaigns against German forces in northern Italy, Jun 1944-May 1945. Engaged primarily in long-range bombardment of strategic targets after Oct 1943, attacking oil refineries, aircraft factories, steel plants, and other objectives in Germany, Poland, Czechoslovakia, Austria, Hungary, Yugoslavia, Rumania, and Greece. En route to bomb a vital aircraft factory at Steyr on 24 Feb 1944, the group was greatly outnumbered by enemy interceptors, but it maintained its formation and bombed the target, receiving a DUC for the performance. On the following day, while on a mission to attack aircraft factories at Regensburg, it met similar opposition equally well and was awarded a second DUC. Served as part of the occupation force in Italy after V-E Day. Inactivated in Italy on 28 Feb 1946. Redesignated 2d Bombardment Group (Very Heavy). Activated in the US on 1 Jul 1947. Assigned to Strategic Air Command and equipped with B-29's. Redesignated 2d Bombardment Group (Medium) in May 1948. Converted to B-50's early in 1950. Inactivated on 16 Jun 1952. Squadrons. 11th: 1918; 1919-1927. 20th: 1918; 1919-1946; 1947-1952. 49th (formerly 166th): 1918; 1919-1946; 1947-1952. 96th: 1918; 1919-1946; 1947-1952. 429th: 1942-1946. Stations. Amanty, France, 10 Sep 1918; Maulan, France, 23 Sep-Nov 1918. Ellington Field, Tex, 18 Sep 1919; Kelly Field, Tex, c. 25 Sep 1919; Langley Field, Va, 1 Jul 1922; Ephrata, Wash, 29 Oct 1942; Great Falls AAB, Mont, 27 Nov 1942-13 May 1943; Navarin, Algeria, Apr 1943; Chateaudun-du-Rhumel, Algeria, 17 Jun 1943; Massicault, Tunisia, 31 Jul 1943; Bizerte, Tunisia, 2 Dec 1943; Amendola, Italy, c. 9 Dec 1943; Foggia, Italy, 19 Nov 1945-28 Feb 1946. Andrews Field, Md, 1 Jul 1947; Davis-Monthan Field, Ariz, 24 Sep 1947; Chatham AFB, Ga, c. 1 May 1949; Hunter AFB, Ga, 22 Sep 1950-16 Jun 1952. Commanders. Unkn, Sep-Nov 1918. Unkn, Sep 1919-May 1921; Maj Thomas J Hanley Jr, May-Sep 1921; Maj Lewis H Brereton, Jun 1925; Maj Hugh Knerr, Jul 1927-Sep 1930; Capt Eugene L Eubank, 26 Dec 1933; Maj Willis H Hale, 1 Jul 1934; Lt Col Charles B Oldfield, 1935; Lt Col Robert C Olds, c. 1937-unkn; Lt Col Darr H Alkire, 6 Jan 1942; Col Dale O Smith, c. Sep 1942; Col Ford J Lauer, 29 Oct 1942; Lt Col Joseph A Thomas, 20 Apr 1943; Col Herbert E Rice, 5 Sep 1943; Col John D Ryan, 8 Jul 1944; Col Paul T Cullen, 25 Sep 1944; Col Robert K Martin, 23 May 1945-20 Feb 1946. Unkn, Jul-Sep 1947; Col William E Eubank Jr, 3 Aug 1948; Col James B Knapp, Jan 1950; Col Earl R Tash, Jan 1951; Brig Gen Frederic E Glantzberg, 10 Feb 1951; Col John M Reynolds, c. 14 Feb-16 Jun 1952. Campaigns. World War I: St Mihiel; Lorraine; Meuse-Argonne. World War II: Antisubmarine, American Theater; Air Combat, EAME Theater; Air Offensive, Europe; Tunisia; Sicily; Naples-Foggia; Anzio; Rome-Arno; Normandy; Northern France; Southern France; North Apennines; Rhineland; Central Europe; Po Valley. Decorations. Distinguished Unit Citations: Steyr, Austria, 24 Feb 1944; Germany, 25 Feb 1944.